Nicholson, Harold O. 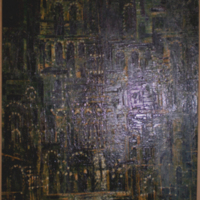 “Cathedral Composite (St. Patrick's NYC).” Marjorie Echols Local Artists Collection, MS035. WCSU Archives, 19 July 2017. Accessed on the Web: 19 Apr. 2019.